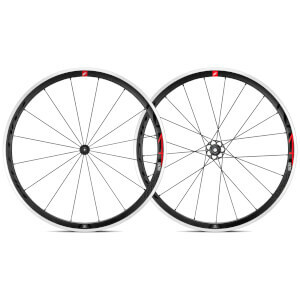 The Racing 6 is an entry level wheel with a race-ready soul. The same Fulcrum quality and performance as the rest of the line with advanced characteristics such as a differentiated profile and Spoke Dynamic Balance technology. Fulcrum engineers have pushed the quality of this road bike wheels even further incorporating an asymmetric rear rim that increases performance in terms of lateral and torsional rigidity as well as reactivity. The rim is 17C, as the new standard nowadays. Improved performance makes it an excellent choice for your next ride!